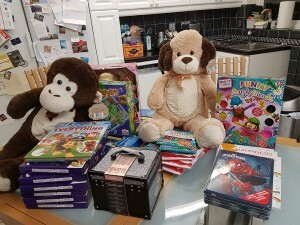 We donated £100 of toys and games to the Haven in Wolverhampton. Set up in 1973, The Haven Wolverhampton is a charitable organisation which provides both practical and emotional support services to women and children who are affected by domestic violence and homelessness. The Haven Wolverhampton is one of the largest independent charities in the UK and one of the largest refuge providers in the country. The pictures show the range of toys we purchased and handing them over to a representative from The Haven. 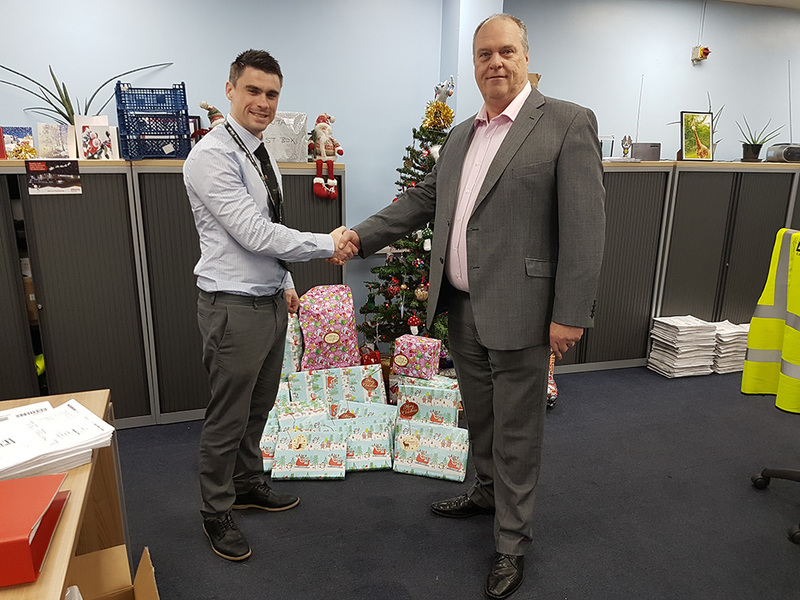 The 2nd charity we supported was Macmillan Cancer – this was as a result of winning a raffle from one of our suppliers, the prize being a donation of £100 to a charity of our choice. 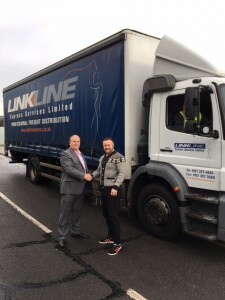 The photograph shows our transport manager Steve Fleetwood (l) shaking hands with James Hines – senior consultant from Jobsworth Recruitment Solutions Ltd.